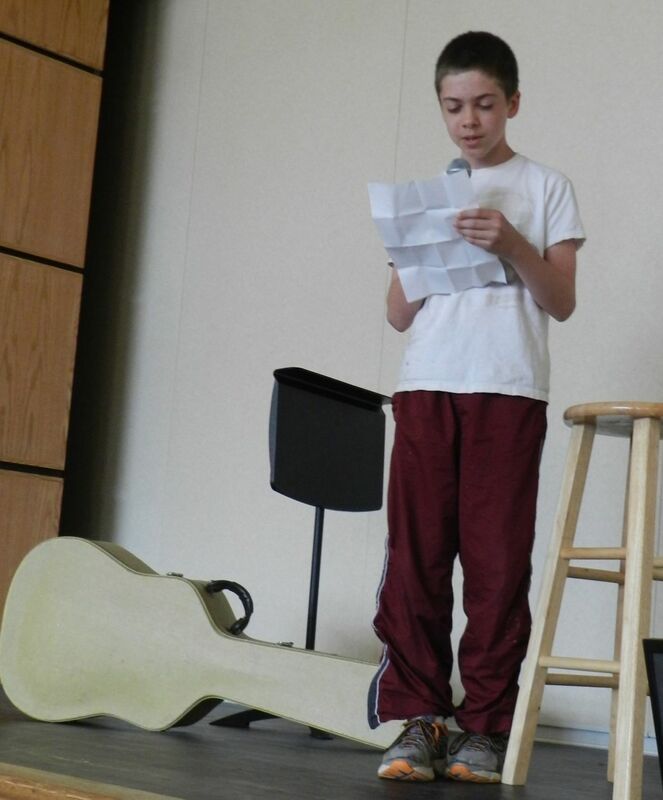 Autumn Hunter, Windy City Blues, & Eric the Great and other poems captivated the audience at the 6th Grade Poetry Cafe last week at the Durham Community School. 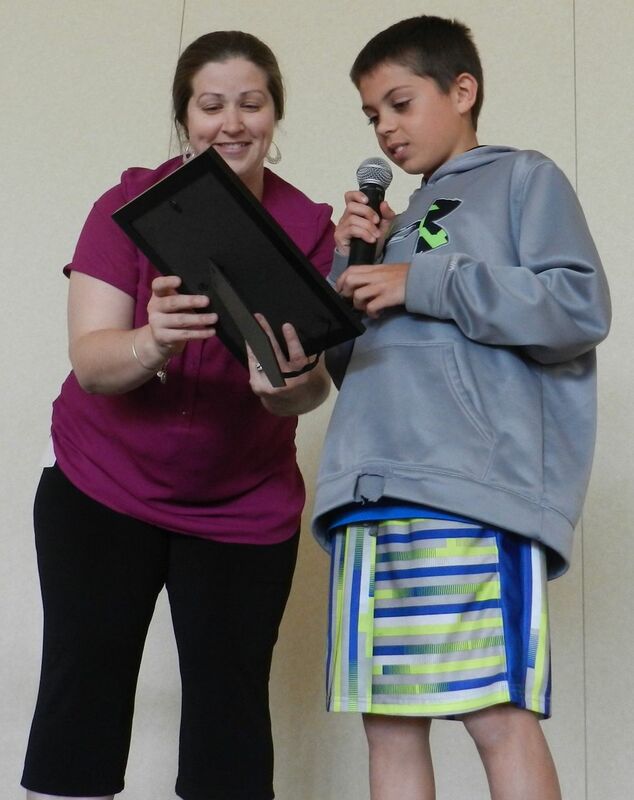 Sixth grade teachers Devon Koenig and Jacky Arellano and their students shared original and favorite poems with friends and family. 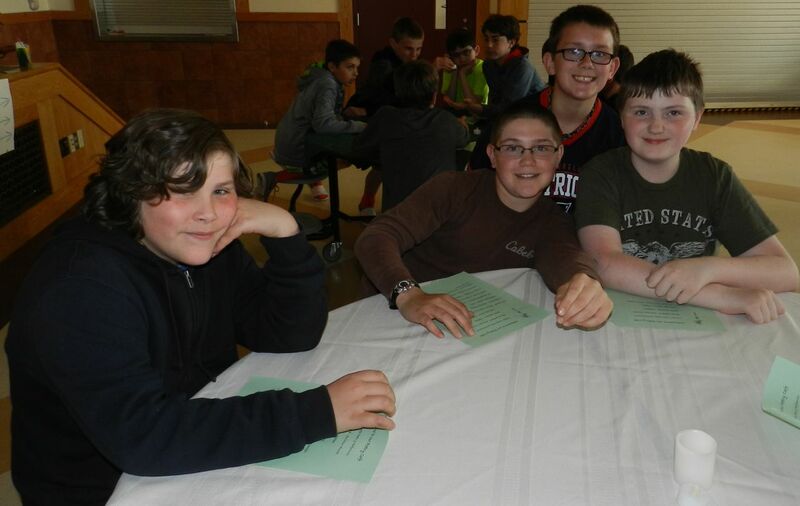 Students invited friends and family to the 6th Grade Poetry Cafe! Keonig and Arellano are a two person sixth grade team. 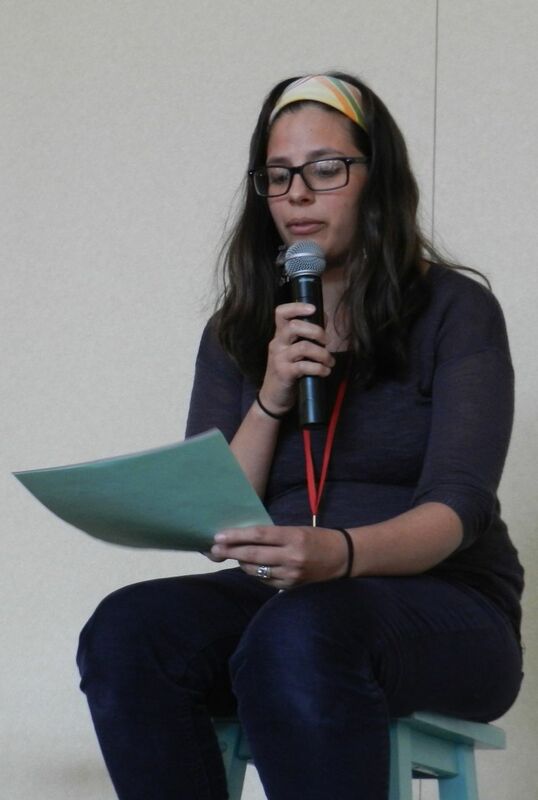 Jacky Arellano who teaches the math and science enthusiastically joined forces with LA/SS teacher Devon Keonig to stage the Cafe. 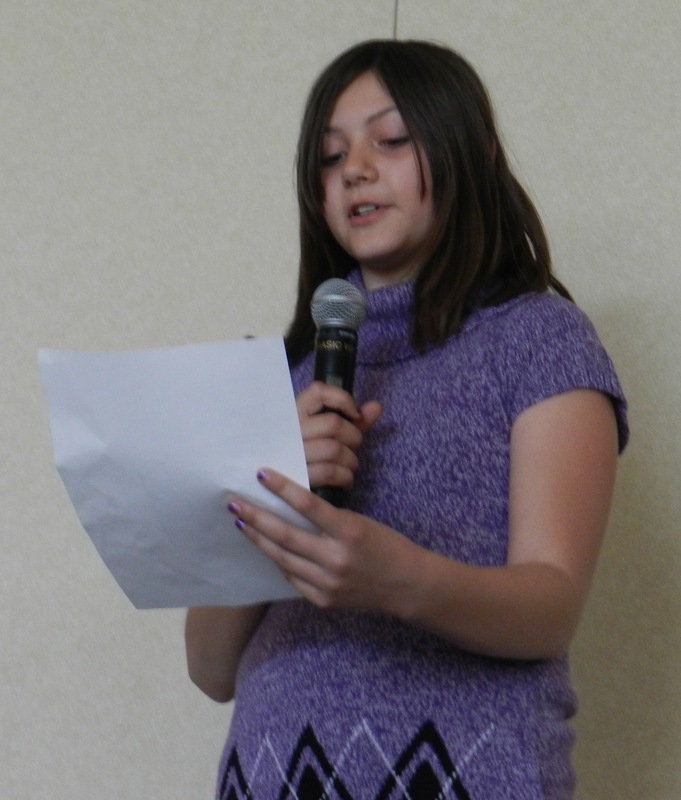 In fact, the Cafe was her suggestion when the two were exploring different ways to end the poetry unit. 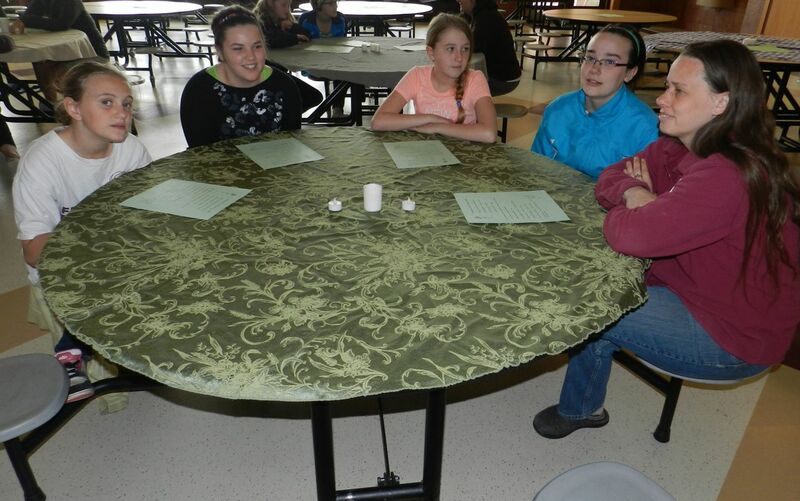 Tablecloths and votive candles helped transfer the cafeteria into a cafe for the event. 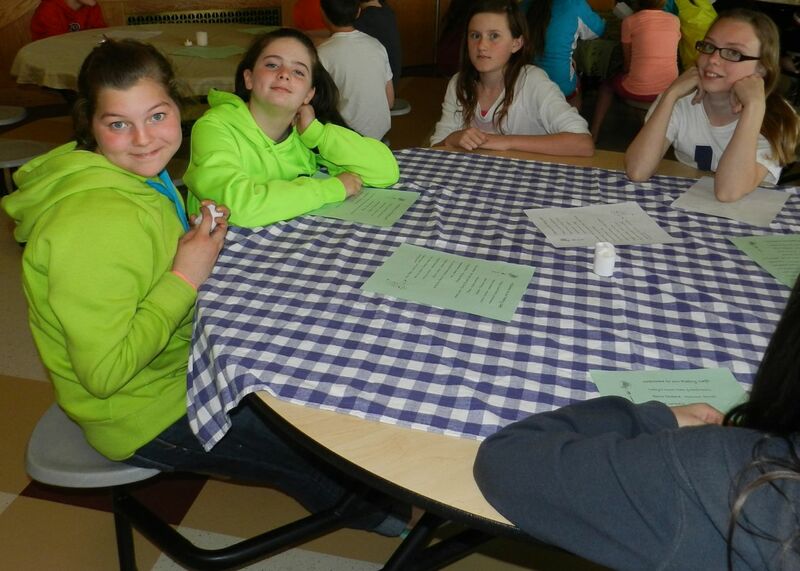 Students and friends gather around tables to listen to the shared poems. recited meaningful verses written by a family member. The teachers also shared their writing. This entry was posted in Curriculum and Instruction, Engaged learning, General, Good teaching, Young adolescents and tagged Durham Community School, Poetry Cafe. Bookmark the permalink.